According to WHO data, Delhi has been among the top polluted cities since 2014. 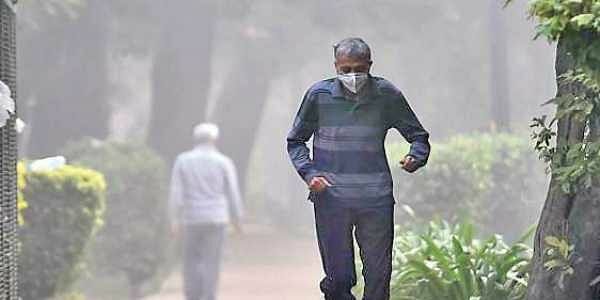 NEW DELHI: As Delhi makes it to the list of top 10 most polluted cities in the world for the fourth consecutive year, the Union Ministry of Environment, Forest and Climate Change (MoEFCC) has failed to address the core problem of reducing pollution despite series of orders by courts and tribunals. The apathy of the ministry to address the issues related to clean air in the country is even reflected in the draft National Clean Air Programme (NCAP), which was unveiled for public comments in April, as it doesn’t list out targets to reduce emissions, leaves its implementation on States and lack of regional focus to check highly polluted sites. According to WHO data, Delhi has been among the top polluted cities since 2014. Delhi’s poor ranking and subsequent studies that highlighted critical levels of pollution in Delhi led to a series of meetings and measures both by courts and government both at Centre and state to improve the air. One of the most glaring omissions from the MoEFCC’ draft is absence of targets from the draft plan. In March, Greenpeace India had made public documents related to air pollution plan which talked about a target of reducing pollution in cities but the latest draft made public by the MoEFCC is silent on it. Environment Ministry was looking at a target of reducing air pollution in around 100 non-attainment (heavily polluted) cities by 50 per cent in the next five years.But the final draft put out by the ministry in the public domain, seeking views till May 17, doesn’t have any targets to be met. The draft also lacks proper region specific measures to be taken to check pollution and is mainly limited to strengthening monitoring stations network. In case of the Indo-Gangetic plain that has major industrial cities causing pollution, there is no specific direction on curbing emissions. According to the Centre for Science and Environment, the real-time air quality monitoring, especially that of PM2.5, will have to be expanded significantly to assess air quality in all cities with sizeable population. Out of the 5,000 odd cities and towns in India, monitoring is being done in only 307 cities – moreover, most of this is manual monitoring that reports data with considerable time lag. “States will also have to wake up to ensure action plans are implemented with utmost stringency and aggression. India needs massive energy transition across industries and households, mobility transition to public transport, walking and cycling, and effective waste management to control this run-away pollution,” said Anumita Roychowdhury, executive director-research and advocacy, CSE.